Balloon Busters: What Goes Up Must Come Down! Balloons are generally associated with fun and festivity. However, balloons have a dark side, as they can cause power outages and pose a serious threat to wildlife and the environment. They’re also an eyesore, marring the landscape of our beautiful community. Released balloons ultimately return to the earth as litter, with many ending up permanently clogging and polluting our waterways and oceans. As a coastal community, Rye's ecosystem is particularly sensitive to the effects of released balloons. Balloons are available in two varieties - latex and Mylar. Latex: While natural latex qualifies as a biodegradable substance, balloon latex is treated with preservatives and plasticizers to guard against bacterial decomposition. It can take anywhere from six months to four years for a latex balloon to biodegrade. Due to their bright colors, latex balloons in the ocean are often mistaken for food by marine life such as whales, dolphins, seals and sea turtles, with deadly results. Once ingested, balloons can release toxic chemicals into the blood stream and cause physical damage to wildlife by blocking the digestive tract. In addition, ribbons, tassels and strings attached to released balloons can entangle and ensnare marine animals and terrestrial wildlife. Mylar balloons are made from mylar nylon, a material developed for use in the U.S. space program. 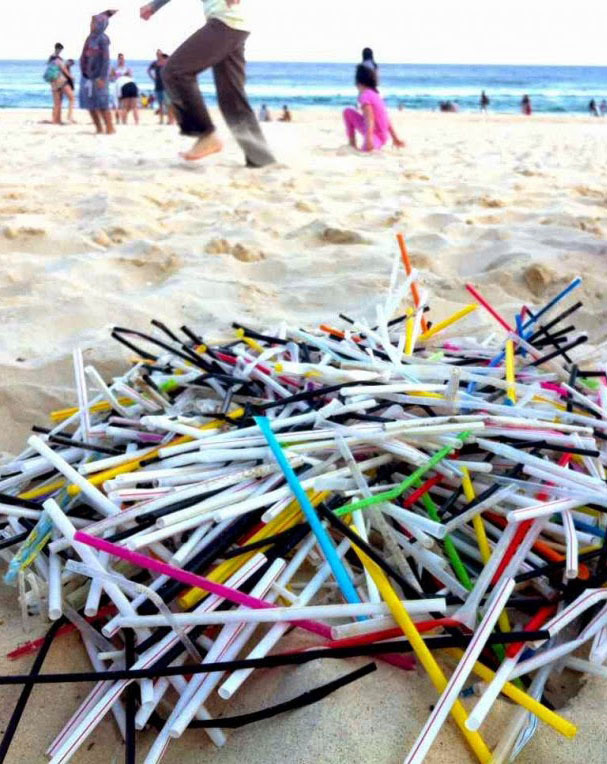 They are not biodegradable and are often coated with a metallic finish. Their durability means that Mylar balloons that land in the ocean remain forever. As they drift, they become part of the ever-accumulating hordes of permanent trash that we find in and around Long Island Sound - and beyond. Their shiny quality also makes them particularly susceptible to being mistaken for food by marine animals. 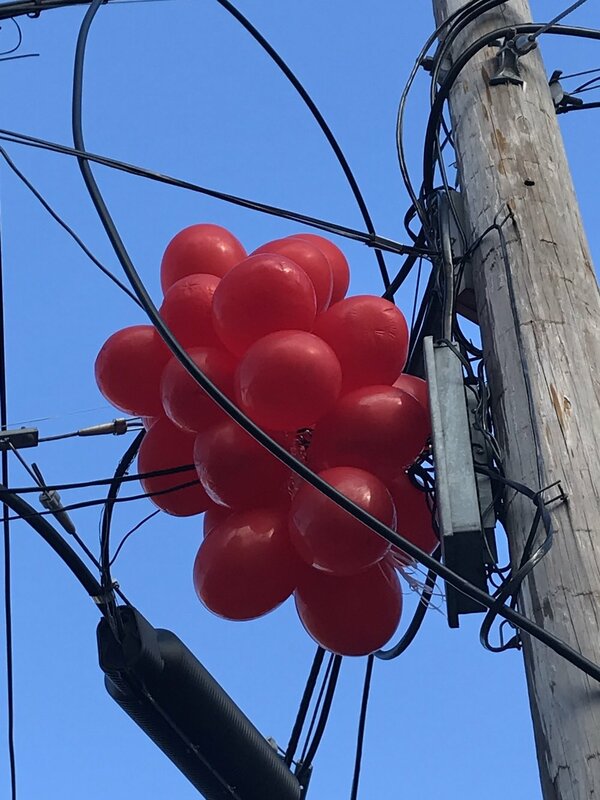 In addition to being a choking hazard in small children, balloons caught in power lines can be a real nuisance and hazard, causing power outages, fires, and possible injuries. Furthermore, the widespread use of helium to inflate balloons is contributing to the depletion of accessible helium for use in MRI scanners, fiber optics and LCD screens. Some communities, including East Hampton, NY, have taken action to prevent the proliferation of balloon litter in the environment by banning the intentional release of balloons. I Just Want to Have Fun! Are there Alternatives to Baloons? The good news is that the party (or real estate open house!) can still go on without the balloons! There are a wide variety of fun, colorful and eco-friendly alternatives to balloons including reusable paper streamers, flags, banners and even bubbles. Tips for a Green Holiday! The holiday season is here! As you gather with friends and family to celebrate, take some time to plan ahead and make it a Green Holiday. For further tips, see Rye Sustainability’s Thanksgiving Tips post. Trees. Natural or Artificial? For an excellent analysis of your Christmas tree’s carbon footprint, watch the BBC’s video. The takeaway: The best option is a potted, native tree, but if that’s not possible, consider a locally grown tree. Be mindful, however, of disposal. Ideally, your tree should be composted or incinerated. For an artificial tree, the biggest impact on the environment comes from production, so the key is to reuse the tree. The BBC analysis estimates, roughly, ten years. But don’t fret: Overall your choice of a tree has a relatively small impact on your carbon footprint. Lighting. LED lights are the most energy efficient and consume 70% less energy than conventional incandescent lights. Some are even solar powered! Remember to unplug those lights when not in use. Even better, use a timer to regulate lighting use. Food. Remember, when you can, shop local for locally sourced food. Consider buying extra for those in need. A list of area organizations that accept food donations can be found here. Compost unwanted food. Don’t toss leftovers! Send some home with guests or check the shelf-life and how best to store foods at Still Tasty. Traveling. If you’re driving, plan ahead and try to carpool. Maybe this is the year to buy an electric vehicle. 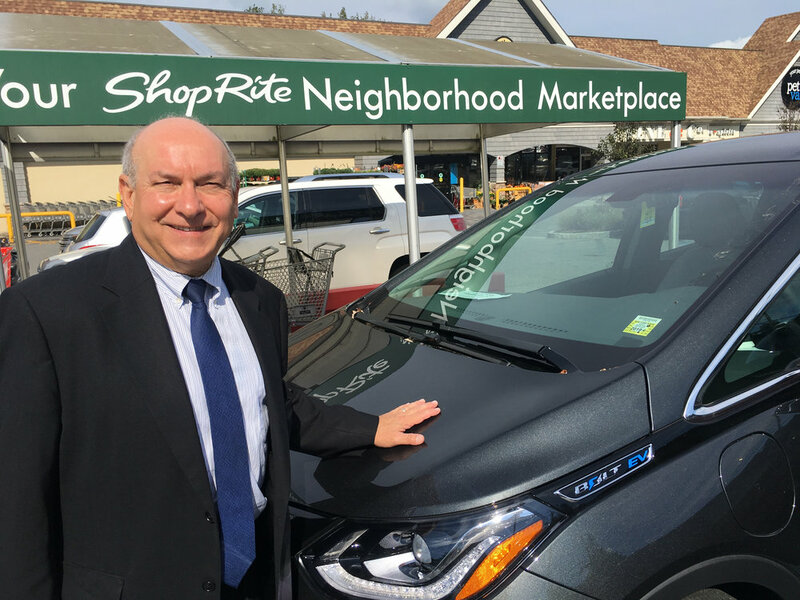 NY State has announced a series of broad-scale initiatives to benefit electric vehicles, including the expansion of public fast charger networks across the state, lower residential charging rates, and customer rebates for EV purchases. Cards. Consider e-cards this year or cards made with recycled content. What's the environmental impact of online shopping? Plan Ahead - Ordering Gifts the “Eco” Way. According to the Rainforest Alliance, the emissions from one- or two-day shipping options “tend to be extreme in comparison to slower methods.” By contrast, if you opt out for a slower shipping time the shipper can wait to load up and schedule deliveries in a more efficient way. Shop Responsibly. Plug-ins such as DoneGood, offer a simple way to discover hundreds of socially and environmentally responsible brands. Shop Local. Support your local businesses by shopping for gifts in your hometown. And don’t forget that restaurants and food purveyors often offer gift certificates. Gift wrap. Re-purpose wrapping paper or get creative and use what you have around the house: newspaper, magazines, pillow cases, containers… This site has some great ideas. Reusable shopping, snack, and/or produce bags. There are a tons of styles, but a few options can be found here and here. 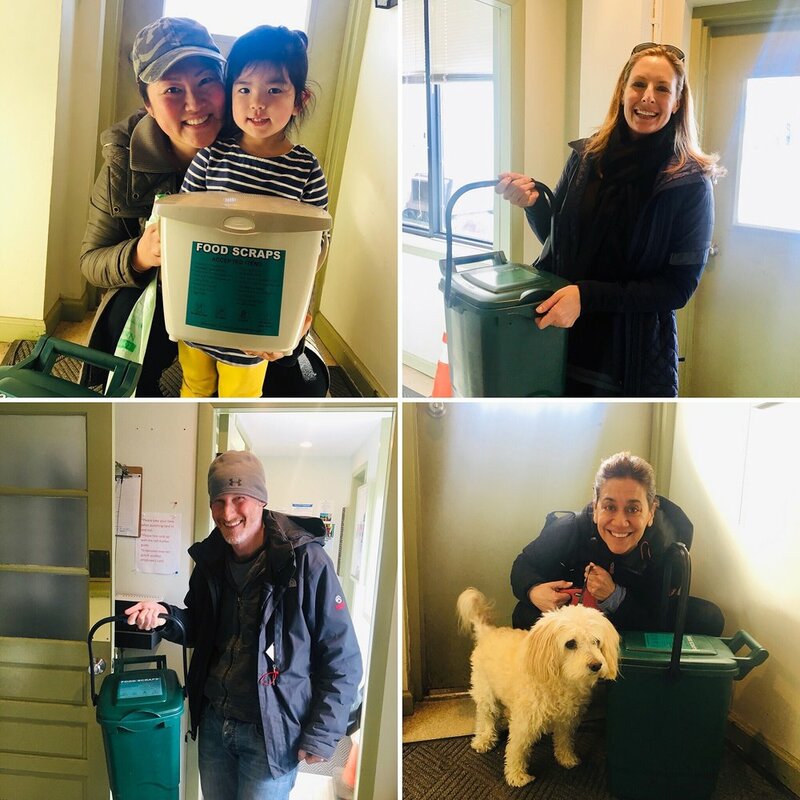 A composting kit (for Rye’s Food Scrap Recycling initiative)! A donation to an environmentally organization, or think local, and donate to the Branching Out for Rye Tree Fund. Some stocking stuffer ideas: a set of metal/bamboo straws or reusable cutlery in a travel pouch for on-the-go meals. A subscription to a CSA. Products made from recycled materials. Many Rye food establishments are proud participants of RSC’s Put a Cork In It program. Corks are recycled into a number of products, including footwear and yoga blocks. In this season where we cherish all that we have, consider taking a few extra minutes to plan your holiday celebrations to avoid unnecessary waste. One of the largest sources of waste during the holidays is food waste. According to the National Resources Defense Council, “in 2016, six million turkeys—a value of roughly $293 million—ended up in the trash … And when it comes to climate pollution, it wastes emissions equivalent to driving a car across the country 800,000 times.” In fact, a staggering 40% of our food ends up wasted and is the single largest contributor to landfills in the US. There are a variety of simple ways to keep Mother Nature in mind as we celebrate. We may not be able to help you with your waist-reduction goals, but Rye Sustainability lists here some easy tips to reduce unnecessary waste. Plan ahead to limit the amount of food waste. Try out the National Resources Defense Council’s handy “Guest-imator” to help estimate the appropriate amount of food you need for your guests. Eat those tasty leftovers. If you’ve had enough turkey and stuffing, send some home with your guests. Compost! RSC is advocating for a community composting program, but you can start composting now. Tips and resources can be found here. Remember your reusable bags when you shop and select items with little or no packaging. Consider using cloth napkins and reusable dishware. Decorate with nature. Fall is a perfect time to venture outdoors for some beautiful natural decorations. 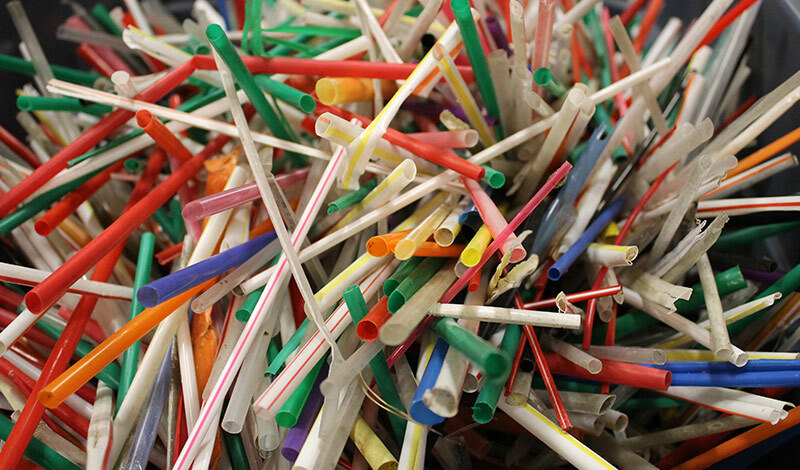 For more tips on how to reduce waste, check out RSC’s Tips For Homeowners page. Be mindful of your energy usage. Plan ahead to cook items together and unplug appliances when not in use. Consider reducing the amount of red meat and dairy products on your Thanksgiving menu. New research shows that one of the biggest ways to reduce our carbon footprint is to reduce consumption of these products. Shop local. Support your local farmers’ market and merchants to promote your local economy and reduce the emissions from transportation of those products. Follow the journey of a strawberry from the farm to the refrigerator to understand all that it takes to bring your food to you. October 12 - Rye City’s official Arbor Day! Rye Sustainability worked to reinstate Rye City as a Tree City USA. The official celebration of this important designation occurred next to the new native tree plantings on Purchase Street. 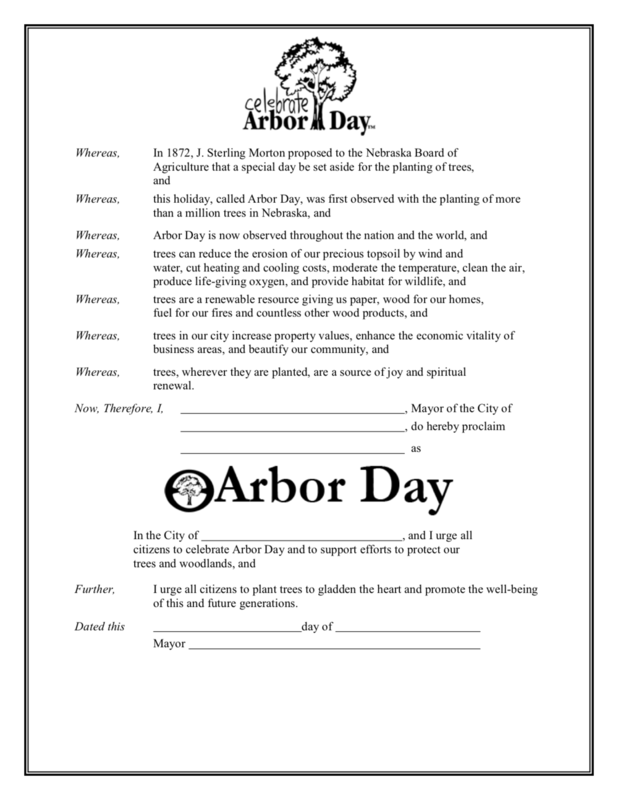 Mayor Cohn read a proclamation announcing October 12 as Arbor Day, followed by a ribbon cutting. Thanks to donors to the Rye Tree Fund who made the new plantings possible. For more information on the benefits of trees visit the RSC Tree Fund Page. Watch Rye TV’s coverage of the event here. Happy Rye Arbor Day everyone and welcome to this Arbor Day observance and ribbon cutting ceremony. As you may already know, the City of Rye was reinstated as a Tree City USA in 2017 after a long lapse of 11 years. Before 2017, Rye was last designated as a Tree City back in 2006, so it's wonderful that we are now back in business as a tree city once again! And, this is a big benefit for flood-prone Rye, trees are being increasingly recognized for their importance in managing stormwater runoff. In urban and suburban settings a single deciduous tree can intercept from 500 to 760 gallons per year; and a mature evergreen can intercept more than 4,000 gallons per year! Trees also filter out pollutants that would otherwise wind up in Blind Brook and the Long Island Sound in a rainfall event, which we seem to be getting a lot of lately. Unfortunately, we are losing trees in Rye at an alarming rate due to old age, disease, extreme weather events (which are also happening more frequently) and of course we are losing trees to construction and development. That is why it's great to see that the Rye Department of Public Works has done a beautiful job with this little plot of land here in our downtown and has planted some native grasses and shrubs as well as these two native trees, a redbud and red maple. The funding for the planting of these two trees came from the City of Rye Sustainability Committee Tree Fund. 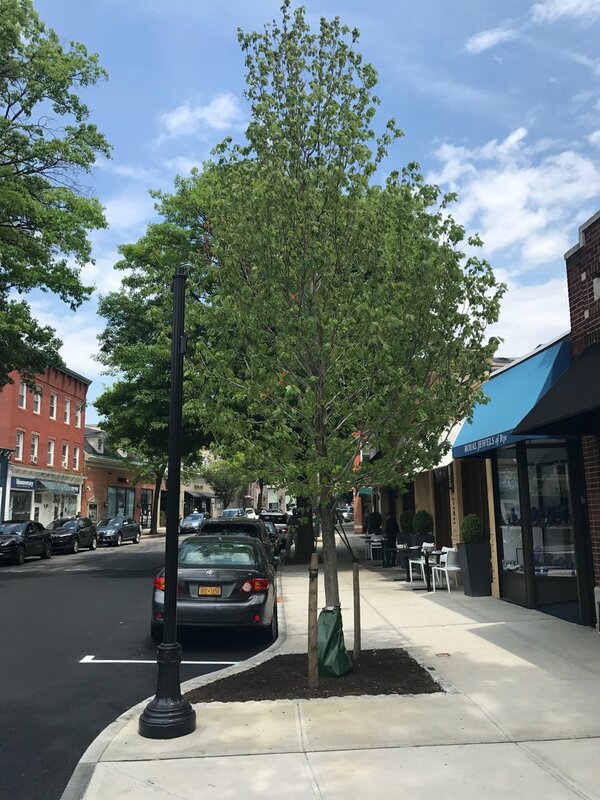 The Rye Tree Fund collects donations of any amount from Rye residents to defray the costs associated with the purchasing, planning, planting and pruning of native municipal street trees. All the Tree P's, as we like to call them. I'd like to thank several people today. Firstly I want to thank our Mayor Josh Cohn for all he has done to help Rye become reinstated as a Tree City USA. As I just mentioned, there was a long lapse of 11 years when we did not receive the recognition and it is only with our Mayors endorsement and backing that we were able to reach Tree City USA status once again. This is a big accomplishment for this current administration and one that we should all be proud of. And a huge thank you to City Engineer Ryan Coyne and his staff for their work in transforming this little patch of land into a native plant oasis. 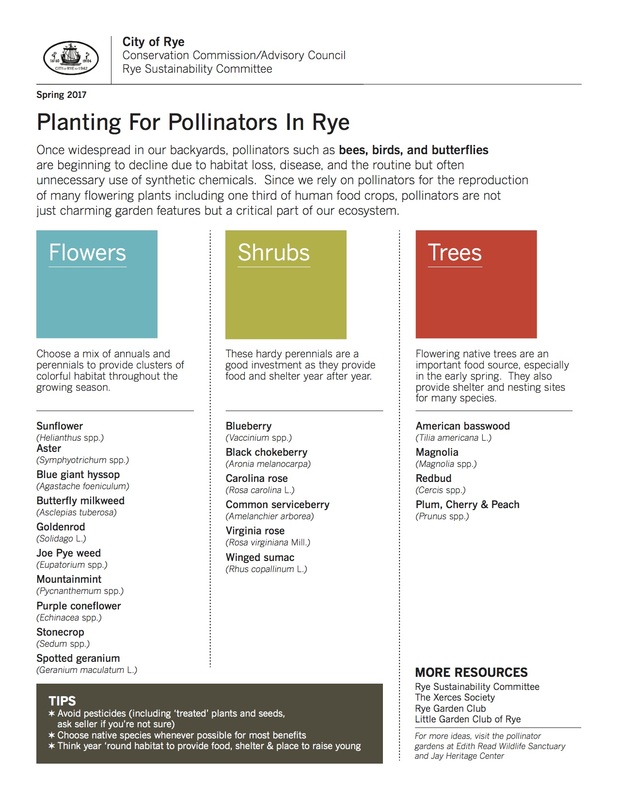 And for all their work in getting Tree Fund subsidized native street trees planted throughout Rye which encompass a bunch right here along Purchase Street including Thornless Honey Locusts, Red Maples, American Lindens and more. Thank you to all the City Staff including Marcus Serrano, Christian Miller, Joe Fazzino, Melissa Johanessen, Kristin Wilson, Carolyn D'Andrea and others who have helped along the way with the implementation and success of the tree fund. Thank you to Rye Sustainability Committee City Council liaison, Sara Goddard, for her unwavering support and advocacy. And a big thank you to all Tree Fund donors past and present, several of whom are here today. With that, I'd like to turn things over to Mayor Cohn to read out the official Arbor Day Proclamation after which he'll sign it with this homemade quill (decorated with native grasses of course). And then we'll have a ribbon cutting to mark this wonderful tree planting and occasion. How Do I Know My Cleaning Products are Safe? Is That Cleaning Product Truly “Green” or Am I Being Greenwashed? You’ve resolved to keep your family and pets safe by purchasing “green” cleaning products. But you get to the store only to be baffled by the dizzying array of products listing unrecognizable ingredients and displaying ominous warning labels. How do you choose which product to purchase? So how do we make informed choices about the products we purchase to ensure that they’re truly healthy and safe? One simple way is to check the labels for ingredients and certification by reputable watchdog organizations. Or you can refer to resources from accredited organizations to assist you in making that final choice. The Environmental Working Group’s Guide to Healthy Cleaning provides an easy-to-navigate guide with hazard ratings for a wide range of cleaners and ingredients. Download their Healthy Living app for information at your fingertips. Clean Water Action’s Green Cleaning Guide provides tips for homes, schools and workplaces. NY State Pollution Prevention Institute Presentation, Clean, Green & Healthy: Identifying Toxins in Cleaners & Personal Care Products. The Environmental Protection Agency’s Greener Products page provides background information on green products while helping you make sense of all those ecolabels and marketing claims. It’s official! Rye has received Tree City USA recognition from the Arbor Day Foundation! Rye Sustainability worked with Rye City staff to reinstate this important designation after its lapse for many years. Rye Sustainability would like to thank City staff Christian Miller, Ryan Coyne, Melissa Johanessen, and Joe Fazzino for all their help, and a special thank you to Mayor Cohn for making the official proclamation. Stay tuned for details about an upcoming Rye City Arbor Day, but information about Tree City USA and the importance of trees can be found on RSC's Tree Fund Page. Want to help keep Rye a beautiful, tree-lined community? Consider a donation to the Rye Tree Fund, which helps finance the planning, purchasing and planting of street trees in Rye. The Winners of the Rye Sustainability Leadership Award! RCDS Headmaster Scott Nelson receives his award from RSC Chair Melissa Grieco. 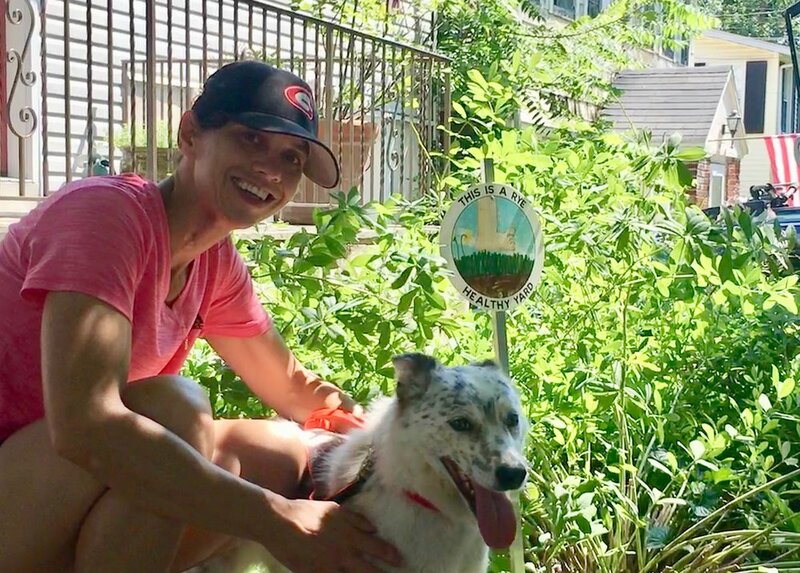 The winners of the second Rye Sustainability Leadership Award were announced by Councilwoman Sara Goddard at the April 25 City Council Meeting. The recipients of the award are Rye Country Day School Headmaster Scott Nelson, RCDS Director of Sustainability Kerry Linderoth and the RCDS Parents Association Environmental/Wellness Committee. The text of the announcement is produced below. For video coverage of the announcement, visit RyeNY.gov. Dorian Feckl (RCDS Environmental/Wellness Committee Chair), Kerry Linderoth and Scott Nelson with RSC Chair Melissa Grieco. It gives me great pleasure to announce the winners of the second Rye Sustainability Leadership Award. This award honors individuals, organizations or members of the business community that have made significant environmental achievements and demonstrated excellence in leadership for the health of our community and planet. Most importantly, the winners reflect the spirit of the Rye Sustainability Committee, which embodies collaboration, hard work, and a deep love of our beautiful community. The recipients of the 2018 Rye Sustainability Leadership Award are Rye Country Day School Headmaster Scott Nelson, RCDS Director of Sustainability Kerry Linderoth and the RCDS Parents Association Environmental/Wellness Committee for consistent and generous support over seven years of the RSC/RCDS Green Screen film series. Award plaques are created by Rivanna Designs from FSC®-certified cherry. At Nelson’s direction, RCDS has partnered with Rye Sustainability Committee, promoted and underwritten the entire cost of the Green Screen program (which encompasses six film screenings to date) so that the general public can attend, learn about important sustainability topics, and enjoy delicious refreshments, all free of charge. In addition, Kerry Linderoth, Director of Sustainability and Science Teacher, Upper School & Middle School and the Parents Association Environmental and Wellness Committee have helped coordinate logistics and collaborate with Rye Sustainability Committee to make Green Screen a long-running successful enterprise. Nelson and RCDS' support of Green Screen allows the message of sustainability to reach so many more members of the public who would otherwise not be able to learn about it. Congratulations to Scott Nelson and Rye Country Day School for their much deserved awards! You can read more about the award and all nominees here. The nominations are in for the Second Annual Rye Sustainability Leadership award! Rye City Councilwoman Sara Goddard announced the nominees at the March 14 Rye City Council meeting. The winner(s) will be announced at the April 25 City Council meeting. As part of its mission to implement the Rye Sustainability Plan, the Rye Sustainability Committee has created a Rye Sustainability Committee Leadership Award. This award honors individuals, organizations or the members of the business community that have made significant environmental achievements and demonstrated excellence in leadership for the health of our community and planet. Rosemary and Vine Berj Yeretzian and Tania Rahal relocated to Rye after living in the Mediterranean for a number of years. The husband and wife team co-founded Rosemary and Vine to bring a comfortable, casual place to enjoy savory vegetarian fare with a nice glass of wine or beer to the downtown area. Rosemary and Vine has been a model of sustainable restauranteering ever since it opened its doors in 2015. 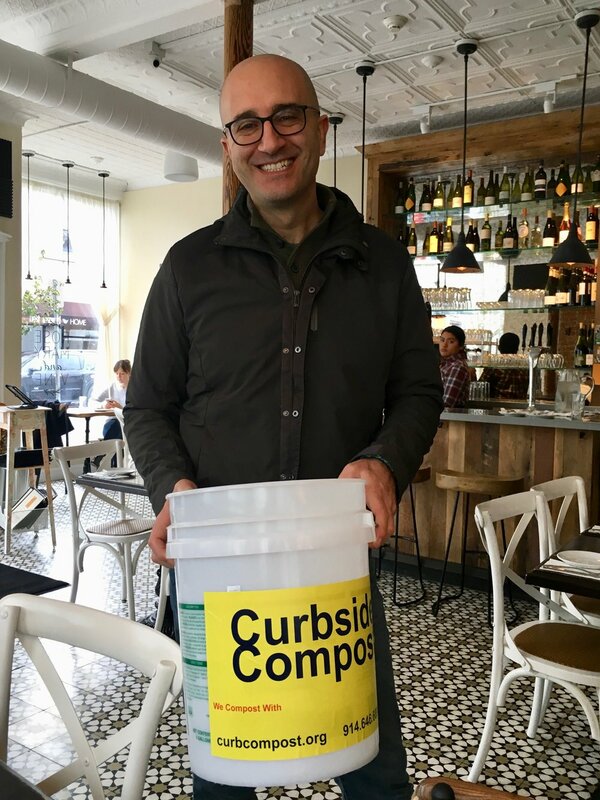 The restaurant composts all of its food scraps via Fairfield-based Curbside Compost and many of its ingredients are organic and locally sourced. 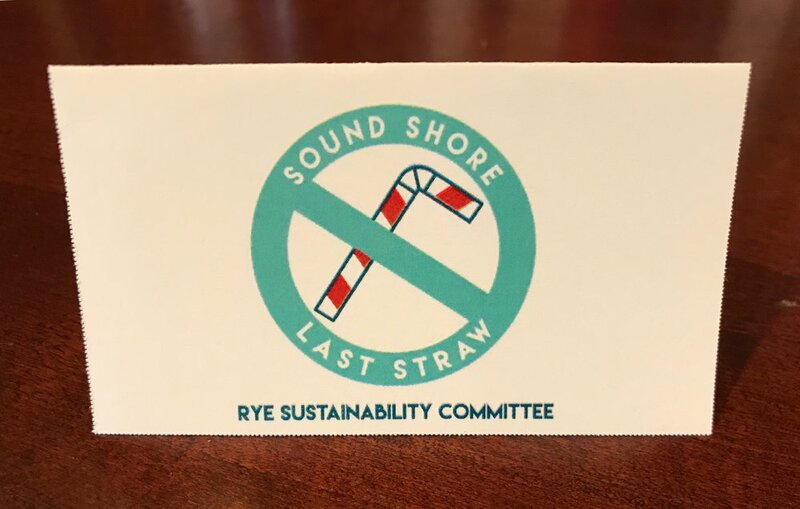 Rosemary and Vine was one of the first establishments to sign Rye Sustainability Committee's 'Sound Shore Last Shore' pledge to only provide straws upon specific customer request in order to reduce the amount of single-use, disposable plastic entering the waste stream. Over the years, Tania and Berj have supported Rye Sustainability through their generous donations of delicious food and beverages to numerous Rye Sustainability events. Denise Woodin and Rye YMCA Derby Goes Green In celebration of the 30 year anniversary of the Rye Derby in 2018, Denise Woodin, Rye YMCA Director of Community Impact and Social Responsibility, created an initiative to reduce the carbon footprint and local environmental impact of the event. 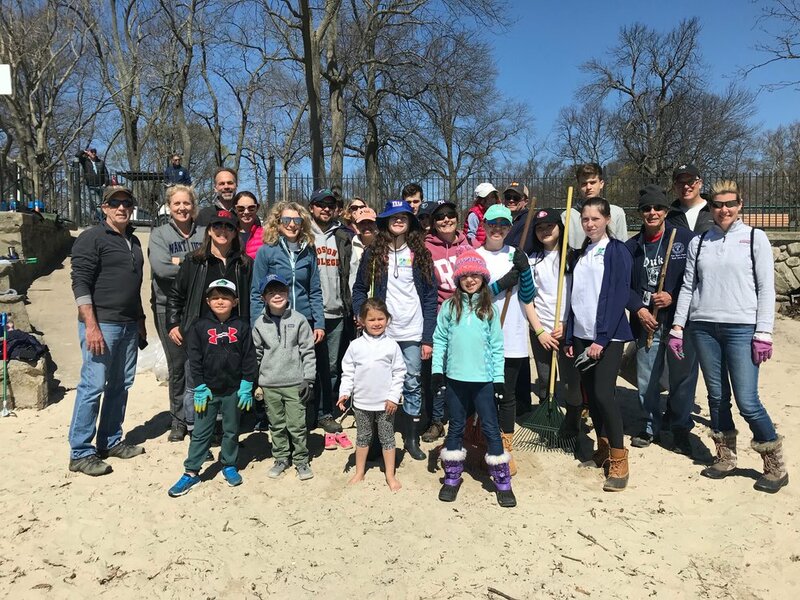 Woodin recruited other Y staffers and community volunteers - including representatives from Rye Sustainability, Rye Country Day School and Rye City Schools to help her find sponsors to underwrite the effort and to brainstorm specific ways to make the race greener. As a result, this year's event has eliminated plastic water bottles and balloons, incorporated recycling and composting stations, and switched from disposable plastic tablecloths to reusable tablecloths. Scott Nelson and Rye Country Day School for consistent and generous support of the RSC/RCDS Green Screen film series. At Nelson’s direction, RCDS has partnered with Rye Sustainability Committee, promoted and underwritten the entire cost of the Green Screen program so that the general public can attend, learn about important sustainability topics, and enjoy delicious refreshments, all free of charge. In addition, Kerry Linderoth, Director of Sustainability and Science Teacher, Upper School & Middle School, and the Parents Association Environmental and Wellness Committee have helped coordinate logistics and collaborate with Rye Sustainability Committee to make Green Screen a long-running successful enterprise. Nelson and RCDS' support of Green Screen allows the message of sustainability to reach so many more members of the public who would otherwise not be able to learn about it. Carolyn Cunningham, Chair, City of Rye Conservation Committee/Advisory Council Carolyn Cunningham has been a lifelong advocate and crusader for environmental causes. After graduating with a law degree from Pace University in 1988, she practiced environmental law for the National Resources Defense Council, a national environmental group headquartered in New York City. 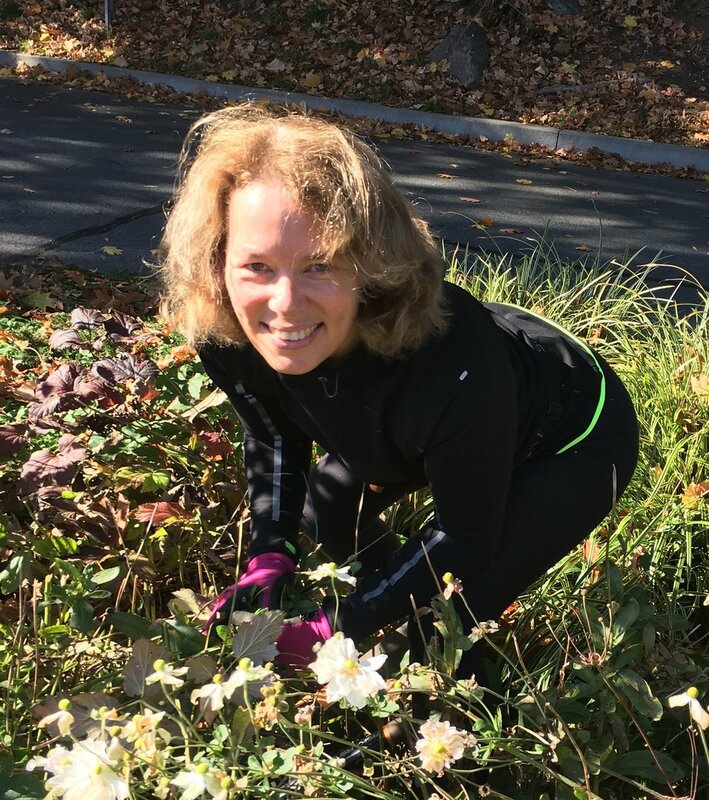 She has been an environmental consultant and was Executive Director of Federated Conservationists of Westchester County for five years where she now volunteers as a board member. 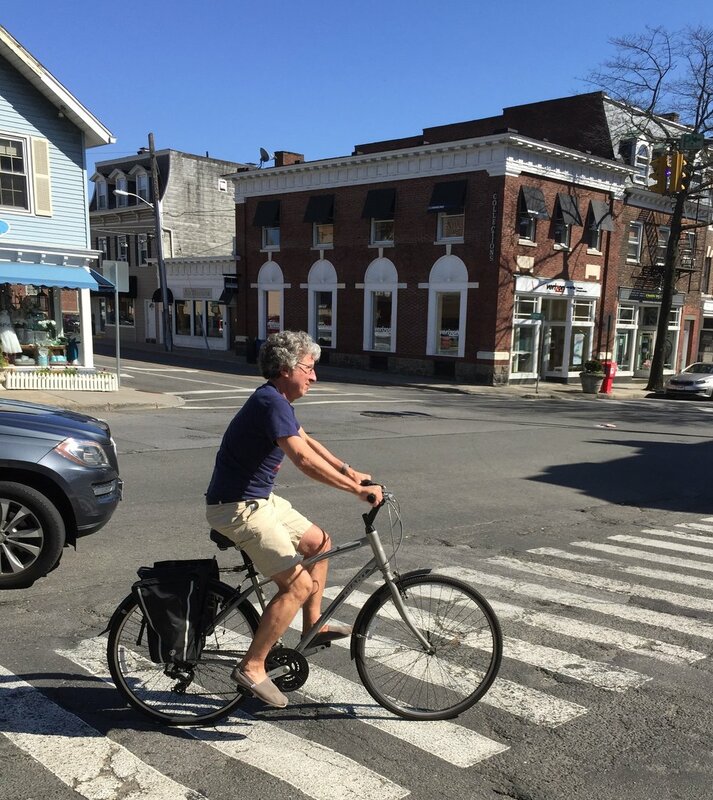 Cunningham has served on the City of Rye Planning Commission, the Conservation Committee/Advisory Council and served two terms after being elected to the Rye City Council. 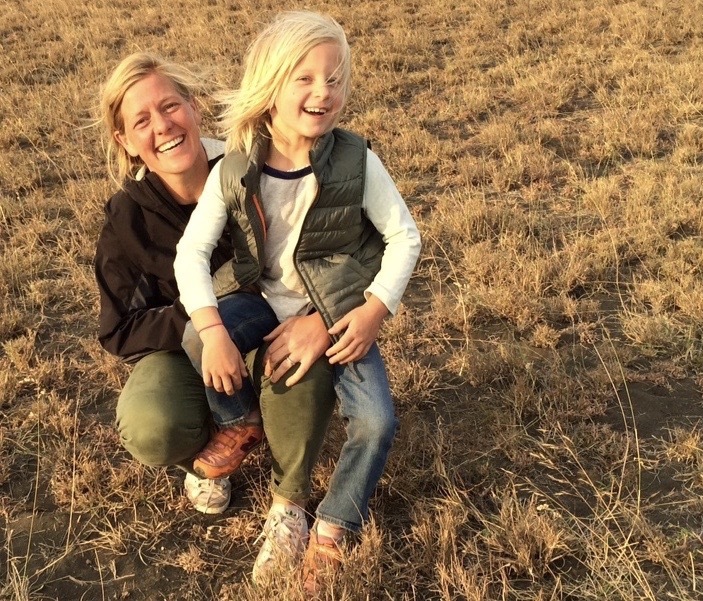 She currently serves as Chair of the CC/AC and is a staunch advocate of Rye Sustainability and its efforts. Bill Lawyer, Assistant Director, Rye Town Park Development; Freelance Writer, Rye Record Bill Lawyer developed an interest in sustainability as a young child while spending summers on his grandparents' farms in Iowa and Pennsylvania learning about the importance of sustainable agriculture. From there on out, he got involved with clean water issues in high school, sustainable forestry and forest management in college and as a member of the Peace Corps, and researched land use management and politics in graduate school. As a teacher at Rye Country Day School, he established an ecology club on the first ever Earth Day and organized school recycling efforts. 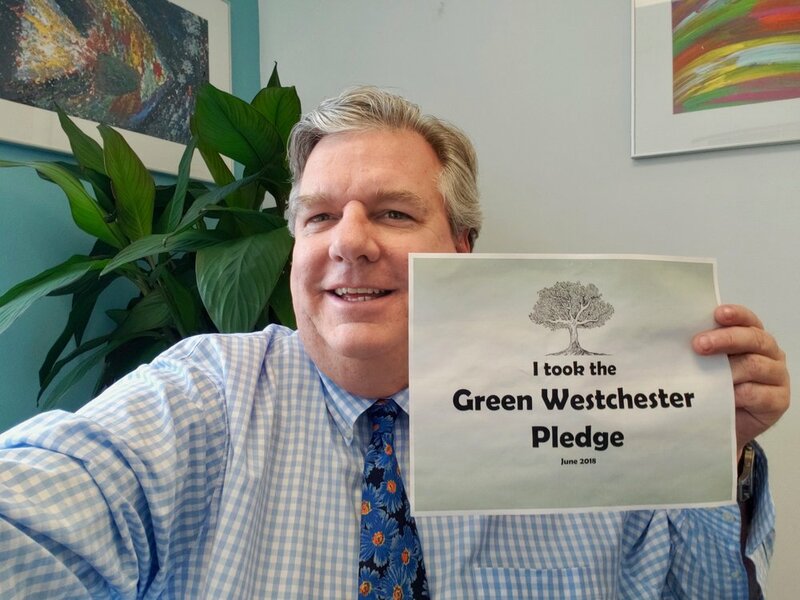 He was Executive Director of the Greenburgh Nature Center for thirty years and spent ten years as a board member of the Federated Conservationists of Westchester County. 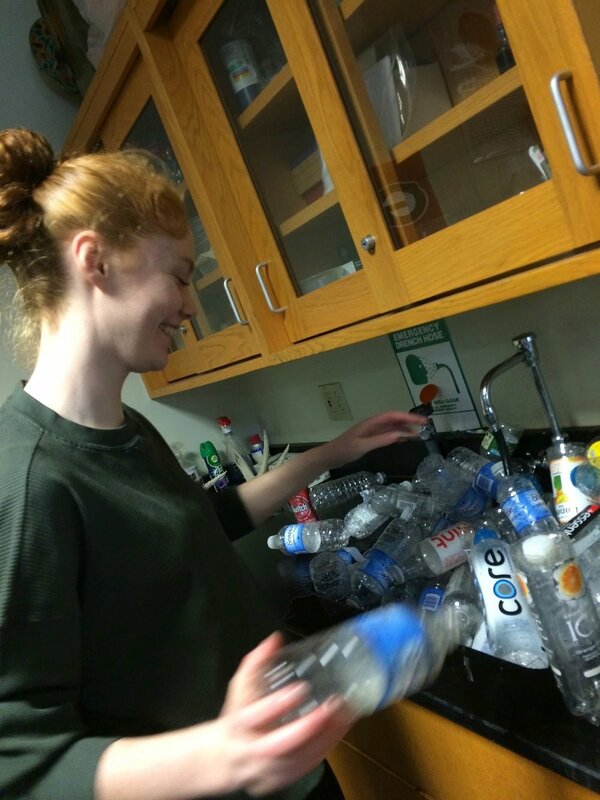 Emma Kelly-Walsh, eighth grader, sorting through collected plastic bottles. Sustainability is alive at Rye Middle School (RMS). Students take RMS A.L.I.V.E. (Always Looking Into Vital Ecology) as an elective course in seventh and eighth grade. This course was created by RMS teacher, John Borchert, and is currently taught by himself and John Griffin. Mr. Borchert explained that "RMS A.L.I.V.E. was started to give Middle School students the opportunity to make their school a greener place. Students maintain an organic garden to supply the cafeteria. 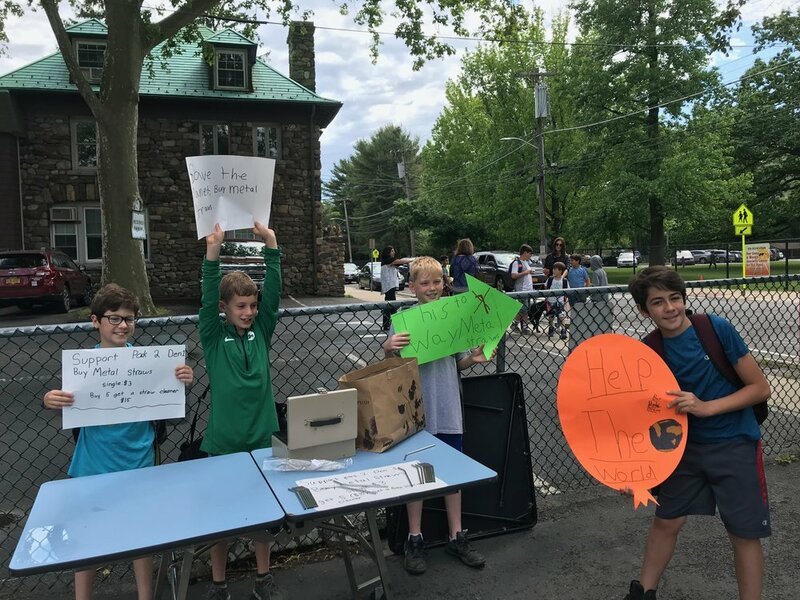 Students also assist the school’s recycling programs and are always looking to make the school more environmentally friendly." Students in the class learn about the environment and protecting their planet. They chose to work on projects that make the school more sustainable or increase their schoolmates awareness about their environment. 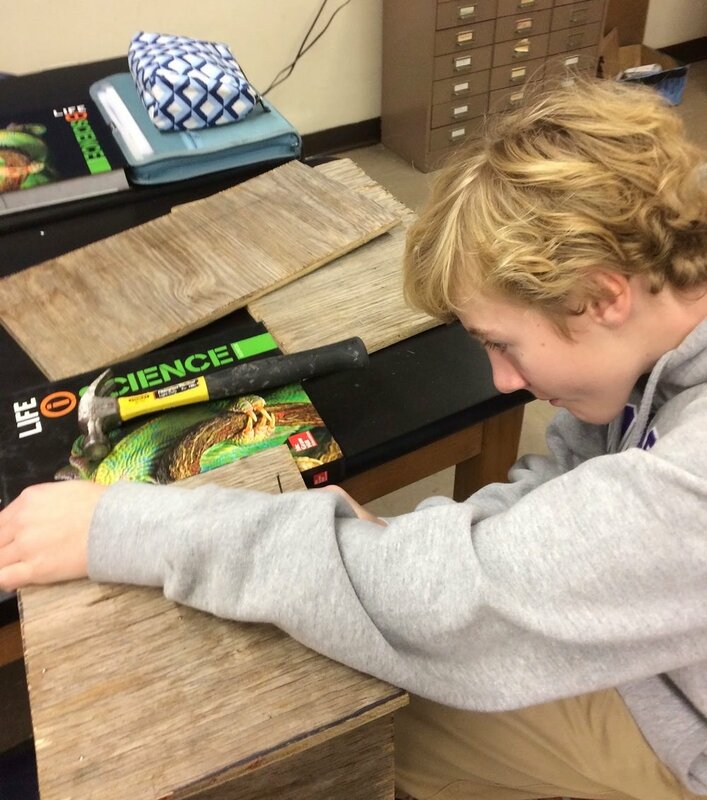 RMS ALIVE seventh grader, Harry Swanson, building a bat house for our school grounds. 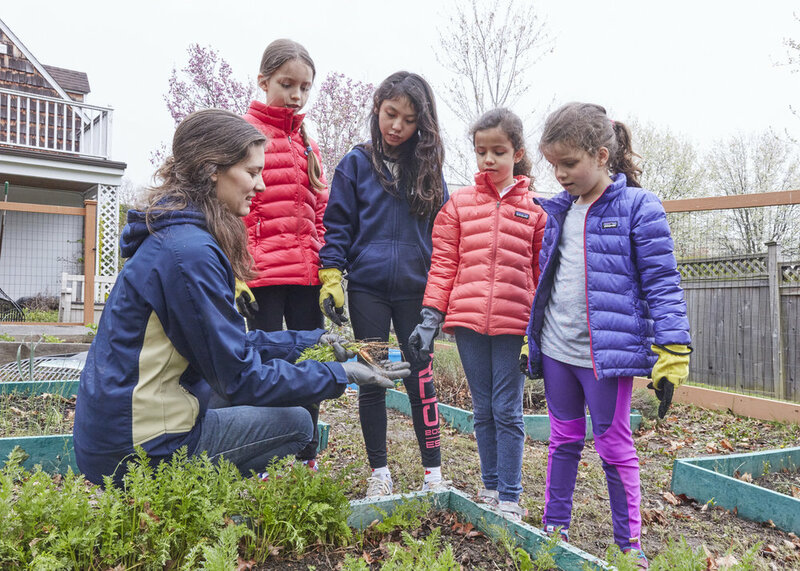 Additionally, students oversee the school’s outdoor vegetable garden where vegetables are harvested and used in school lunches or brought home to students’ families. They collect recyclable water bottles from the cafeteria and hallways. 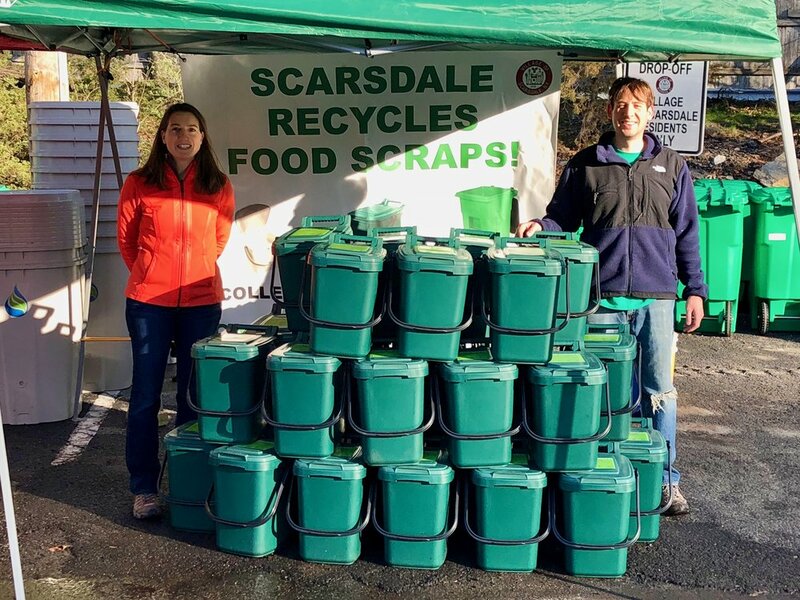 Students also collect 2 5 gallon orange buckets full of compostable food from the high school cafeteria and add it to the outdoor compost bins. Every fall and spring, RMS A.L.I.V.E. encourages all students to participate in Walk or Bike to School Week through a raffle drawing. Due to the fact that students get to do whatever project they please and are able to recycle and compost, it is easy to believe that this class is so popular. Also, With all the environmental pollutants being added to the Earth every day, even the smallest actions make a difference. RMS A.L.I.V.E. is helping make this difference. Rosemary & Vine is a "Put a Cork In It" participant. 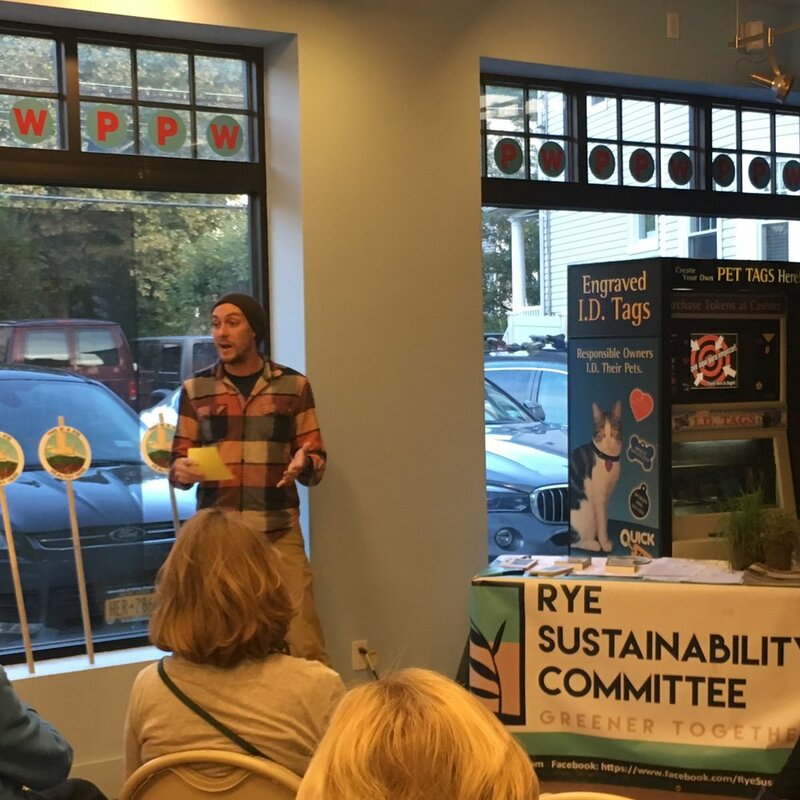 Spearheaded by RSC member Gretchen Crowley, one of Rye Sustainability's latest initiatives is a cork recycling campaign entitled Put a Cork In It. The initiative is designed to start a broader discussion about the importance of recycling and waste reduction. Area restaurants, bars and clubs have signed on to participate in this simple exercise: Instead of tossing corks in the trash, participants recycle the cork in a receptacle provided by ReCORK, North America's largest natural cork recycling program. The receptacle with the used corks is then mailed (at no cost) to ReCORK where the corks are re-purposed into new products. RSC will supplement this activity through an education campaign designed to educate the community about recycling and waste reduction. A list of participating food establishments can be found here. To find out more about how you can recycle other products, visit RSC's Where Do I Donate/Recycle? page. For further information, read the recent article below about Put a Cork In It in Apawamis Now.